This book follows four boys through the mental health system in a residential treatment center. 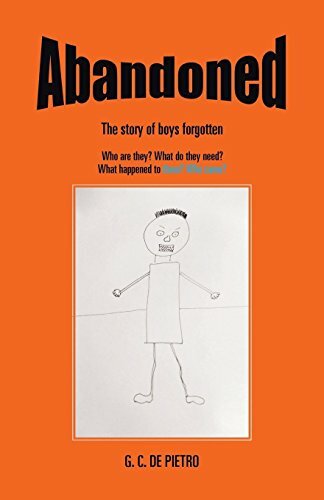 Abandoned examines all of the trials and tribulations the boys had to face while in treatment, and shows how De Pietro had the inspiration to work with them using art and guided imagery. This creative and therapeutic method helped the boys combat their fears and personal issues as well as the stresses associated with being in psychiatric care. Furthermore, there is autobiographical information about how the author became interested in art and art therapy, examining her own journey which ultimately led her to work with these boys. You will find out how art therapy and guided imagery helped restore all of them to psychological health.